Facebook launched Internet.org as a way to get important services and information to people in developing countries even if they lack a data plan on their mobile device. And if they should decide to check Facebook using this free access, all the better. Now, the Internet.org service is being rebranded as Free Basics by Facebook. The change in name is being made to differentiate the service Facebook is offering from the larger Internet.org platform and initiative. 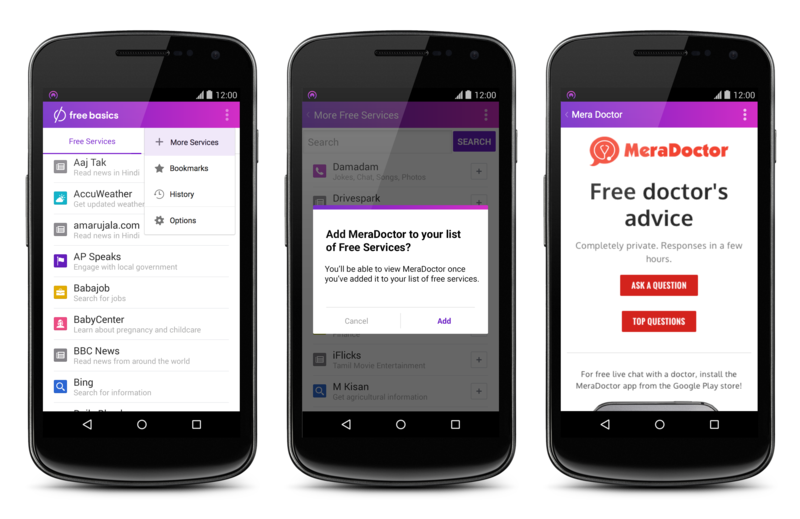 Facebook also notes that more than 60 services have been built for Free Basics, which are accessible from the mobile website and Android app. It includes the likes of BBC news, Dictionary.com, AccuWeather, BabyCenter, and of course Facebook. Just find the service you want in the list (or search for it), and add it. You can only use Free Basics in certain countries and with a SIM card from a supported carrier. The Android app has already been updated with the new name, but that appears to be the only change. The mobile website has better search and HTTPS, though.